Mount Tavurvur is an interesting and active stratovolcano which is located on the eastern part of the New Britain Island, which is part of the Independent State of Papua New Guinea.As it is still one of the most active volcanoes in the country, it also is one of the most dangerous ones in Papua New Guinea. 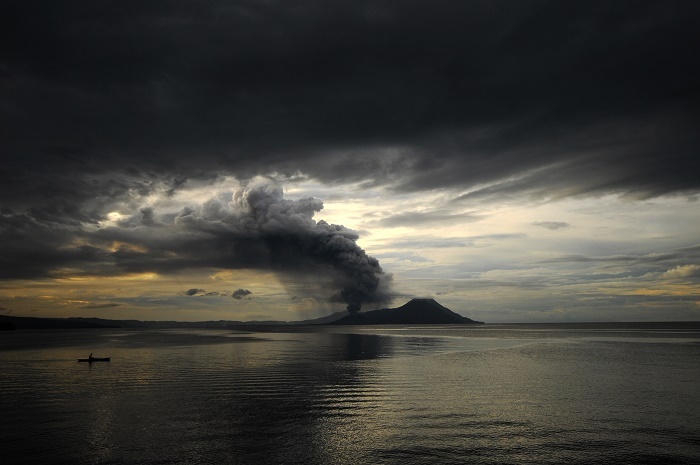 The city which is close to Tavurvur is named Rabaul, however, it was devastated with the explosion the volcano had in 1994. 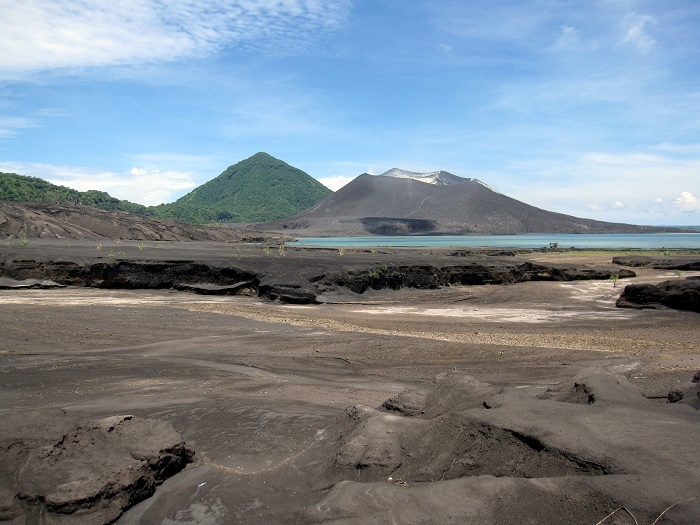 The Tavurvur is located within the Rabaul Calders, where Tavurvur is actually a sub-vent of the big caldera. 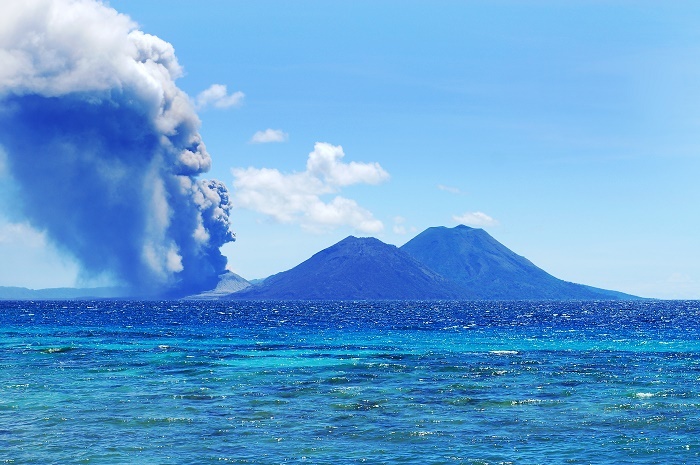 The Rabaul Caldera has an elliptical form which is 14 km (9 mi) by 9 km (6 mi), and is surrounded by a steep volcanic ridge several hundred meters high. 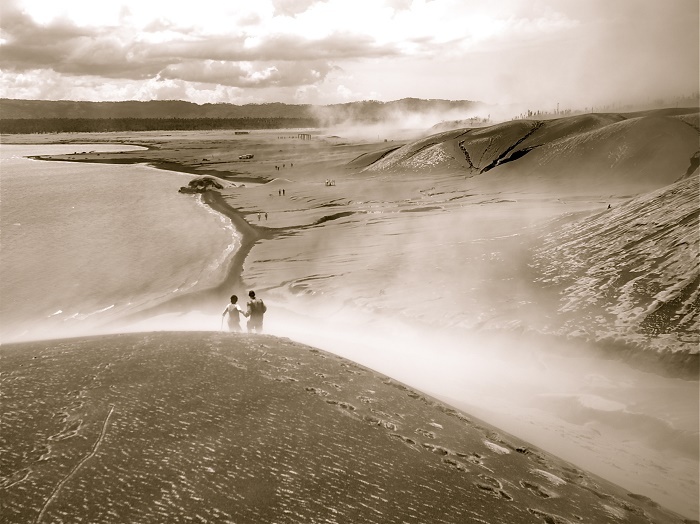 The most devastating eruption for the area occurred in 1937, when not just Tavurvur erupted, but also the nearby Mount Vulcan which killed 508 people, and it was the sign to bring higher awareness for the surrounding. 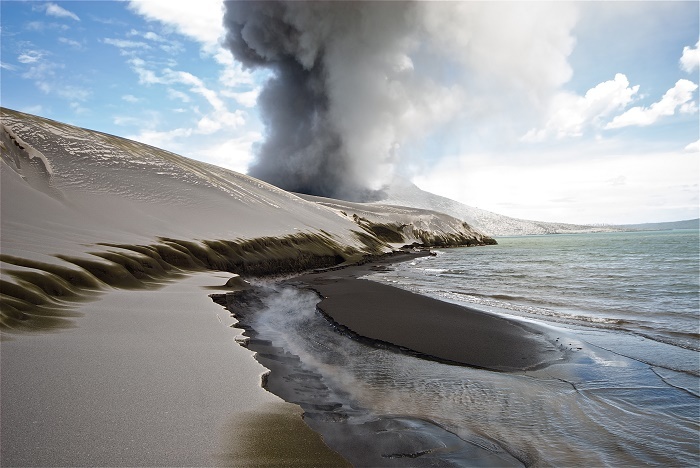 Still, there are settlements, towns that are still living around the caldera, which with the 2006 eruption blasting all of the windows within 12 km (7 mi) radius, and sending an ash cloud to the stratosphere 18 km (11 mi) high. 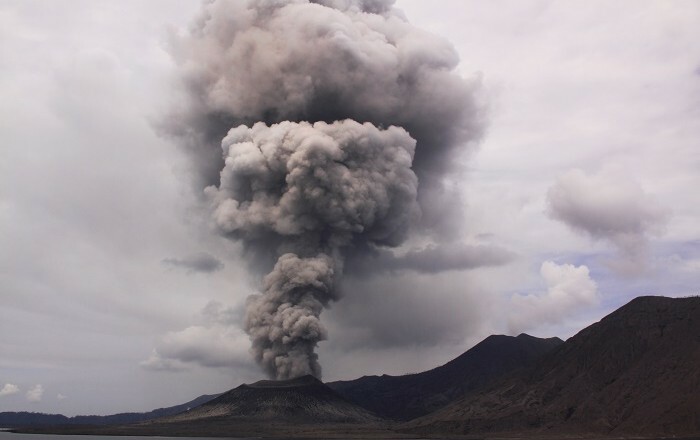 Most of the ash was blown away from Rabaul, however, in 2014 there was another blast which raised concerns over disruption of flights in Australian airspace due to the large ash clouds. 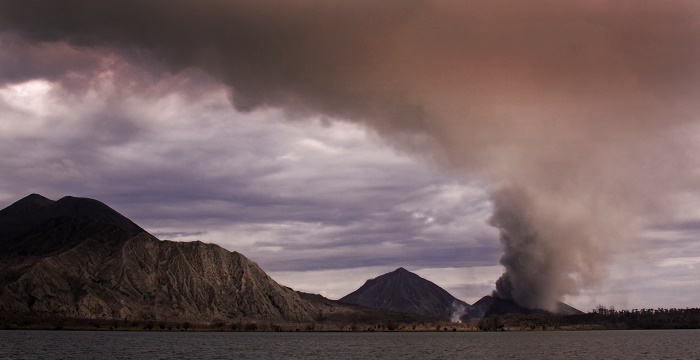 This time the local communities were evacuated, but the people from the town of Rabaul were advised to remain indoors to avoid falling ash. The coastal town of Rabaul, which was a provincial capital until 1994, will continue to be paying for the mistake that it was built within the dangerous caldera, a fact which the German colonists did not know when building the town. 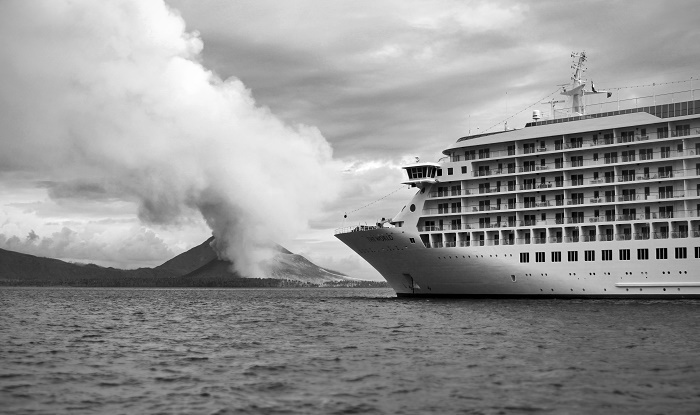 Today Rabaul is the largest town on the island, and with its harbor which made the area so attractive will continue to be the victim of nature’s cruel forces. Even though it is still active, there are people who would like to visit and see in person this active volcano, making the rest of the bigger countries in Oceania to be afraid for their air traffic if there is another eruption. Nevertheless, everyone hopes that there won’t be a major eruption with victims again, and the local communities will continue to thrive and develop as fast as possible.